May 09, 2008 by KimmChi in "Brooklyn Flea", "Brooklyn Indie market", "Event", "Fair"
Come out and browse around Brooklyn and shop for Mother's Day. Also on Saturday is Park Craft Fair in Prospect Park from 10 am to 5 pm our very own CharlieAndSarah and KarensMonsters will be there. 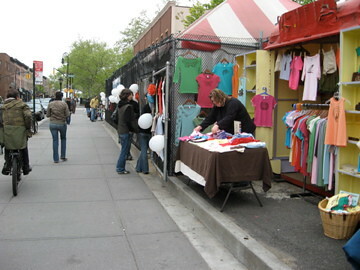 The Brooklyn Flea this Sunday from 10am to 5pm at 176 Lafayette Ave in Fort Greene Brooklyn.